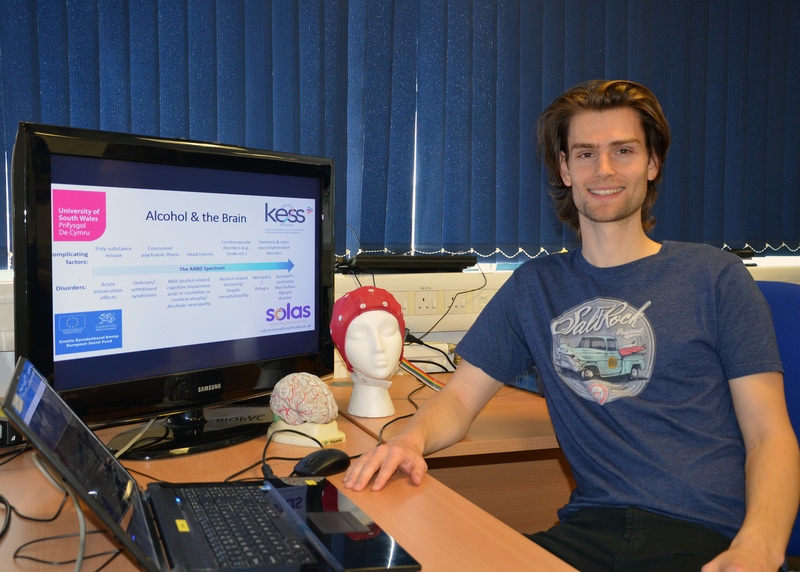 Rob Heirene is currently undertaking an ESF-funded KESS 2 PhD at the University of South Wales, carrying out research into how people with alcohol-related brain damage could be cared for in supported housing. His partner organisation, Solas Cymru, is a charity based in Newport that provides a broad range of services for people who are vulnerable, homeless or at risk of homelessness. They also help support people who are recovering from drug and alcohol addiction. Solas Cymru approached Rob for help in developing a pilot supported housing project for people who have been diagnosed with, or show signs of, brain damage as a result of chronic alcohol abuse. His research aims to provide an evidence base for Solas Cymru to establish this specialised service, helping to substantiate anecdotal claims that there is a need for the bespoke care environment they wish to set up. “This particular client group brings several challenges when it comes to accessing and providing care,” said Rob, who has previously studied MSc Clinical and Abnormal Psychology at USW. “They tend to fall through gaps in the NHS system, as their condition is often missed or wrongly diagnosed as dementia, or they are unable to access the specialist care they need due to being passed from one service to the next. Rob has spoken to 40 different services that support people with addictions – from social workers to mental health teams – to establish how these people are currently cared for, and what obstacles face different services. The next stage of his research will be looking at how the residential model could work, incorporating various tools for neuro-cognitive rehabilitation, and employing specialist staff to provide condition-based specific support for the patients. “This client group are currently placing a huge strain on the NHS,” added Rob.